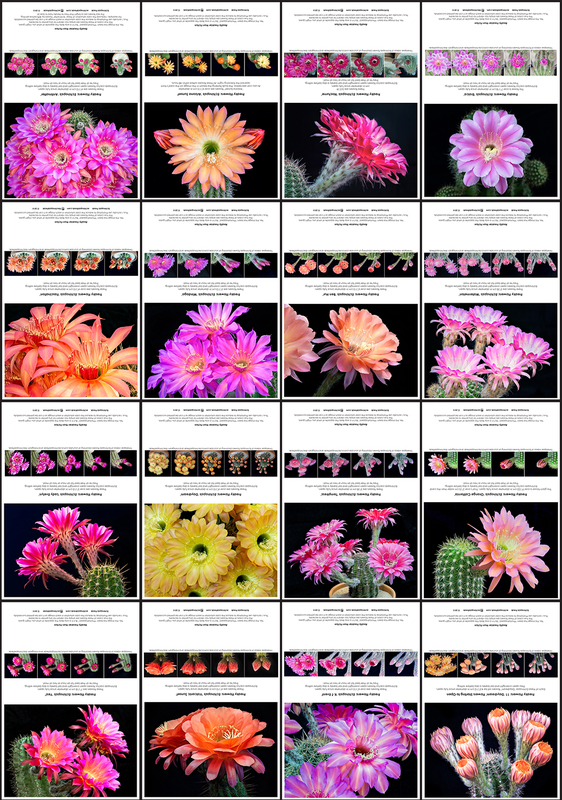 I’ve created a series of 16+ note cards using some of my focus-stacked still images. The cards are 5″ x 7″ with a blank interior. (Pint-sized images at the bottom of this page … click the image of the 16 cards to enlarge a bit … click a second time for a bit larger still.) I’ve placed them in a number of stores and their very unusual nature has been an attention getter and differentiator. 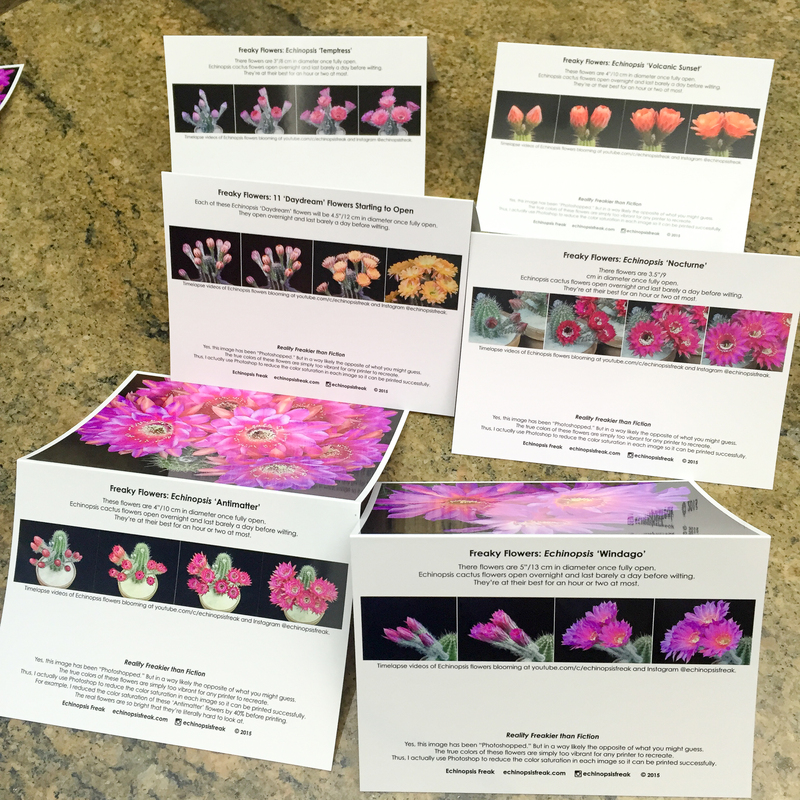 A unique aspect of the cards is that the rear panel of each features a series of images showing the flower(s) depicted on the front of the card opening over time. The name of the hybrid and the size of the flowers is also provided. 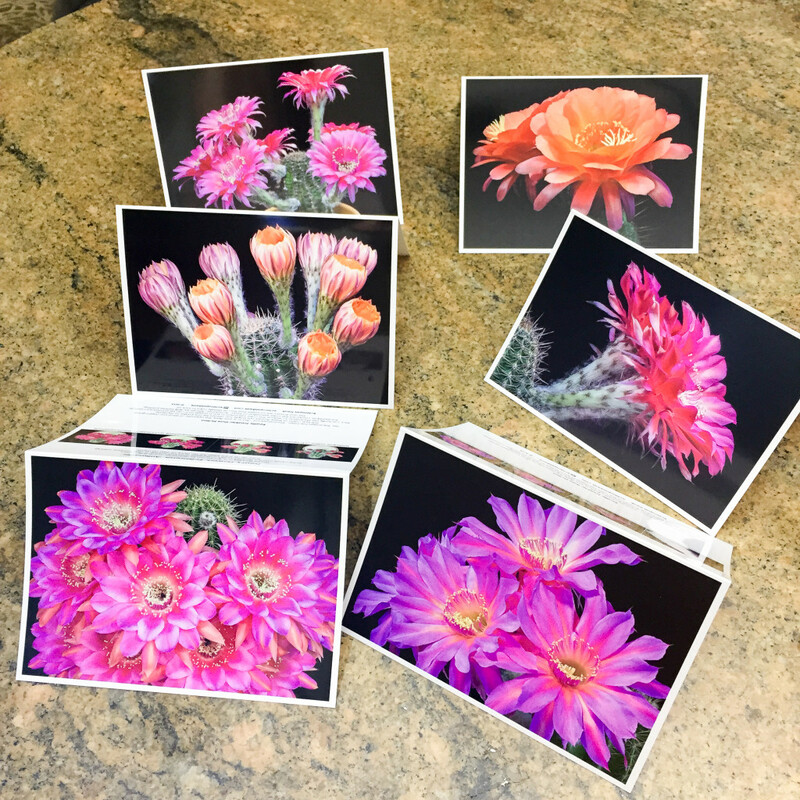 I print each card myself on an EPSON Professional Imaging 3880 printer that prints with 8 inks at 2880 x 1440 dpi. I use a beautiful card stock that costs over 50 cents a sheet. It’s high gloss on the outside and matte on the inside for easy note writing. 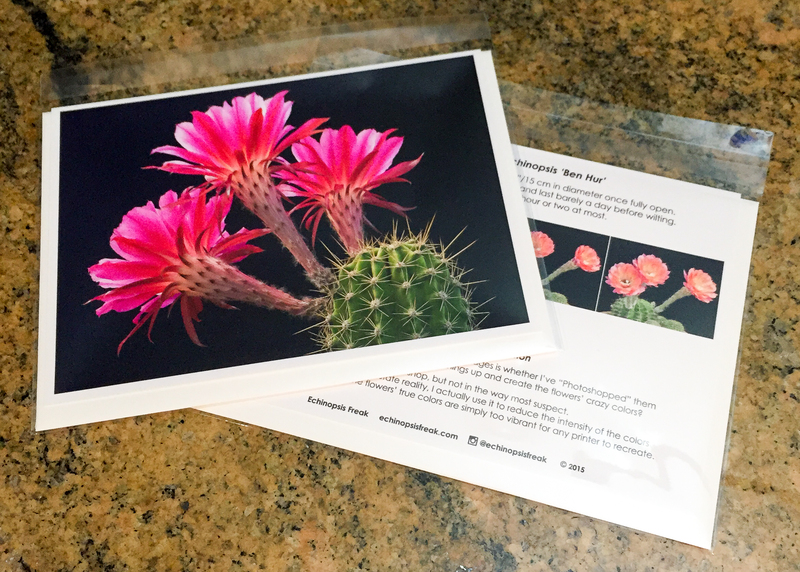 Cards come with envelope in a clear protective wrap. The envelope is inside the card so both front and back of the card are visible to the prospective purchaser. I ask for $2 per card wholesale as I have about a dollar in materials and ink in each, not counting the time it takes to print and package them. Most stores that have my cards sell them for $3.50 – $4.25 each. Minimum initial order is 60 cards … 5 cards each of 12 different types. $120.